The Kenya Stockholm Blog (KSB) takes this opportunity to congratulate President Barack Obama on the occasion of his election as the President of the United States of America. The Election of Obama, a Kenyan-American, as President of the world’s greatest Nation is evidence that Kenyans and Africans in general are intelligent people who are capable of rising to the highest positions of leadership anywhere in the planet. We, at KSB, believe that the election of Obama as United States President is not just a victory in the struggle against racism and discrimination against non white people around the world but also a huge psychological boost to non white people who have had to suffer the indignity of mental and psychological manipulation by agents of racism to reduce non white people to non-thinking human beings who are incapable of taking up positions of leadership especially in gigantic centers of power across the globe. The election of Obama as President of the United States is a serious signal to the world at large that as members of the human race, we are the same and that it is important that this race unite to search for real and common solutions to problems facing the planet and the human race in particular because all human beings are born equal. In congratulating Barack Obama on his historic election as the first Black President of the United States of America, White, Hispanic, Asian and other populations that voted for Obama forms part of the complex matrix that handed victory to this great son of Kenya. The African vote alone could not hand over victory to Obama. It is the united vote of Americans who were longing for change embodied in Obama’s message of change that made the big difference. The election of Obama as President of the United States obviously triggers emotional feelings at different levels of the global support networks that have been following his two year campaign with bewilderment. Soon after the declaration that Obama had won the vote, some supporters were captured on video shading tears of joy as others went wild with ululations just before Obama appeared on stage to deliver his acceptance speech. These sentimental scenes that played themselves over and over again were a collective statement that Obama had achieved a feat that was perceived only recently as impossible – the election of an African as President of the United States of America and consequently official occupant of the White House with massive political and military power at his disposal. At the psychological level, Obama’s election is a major boost to black and other none white people around the world who have had to live with the scourge of racism and discrimination especially in the United States and Europe where the general perception has been that there is a limit to the level Africans could rise within the established power structures and systems. For white people who voted for Obama, a different kind of statement has been made – that not all white people are racist for how did millions of white voters endorse Obama for President of the United States if the country is populated by racists? There is no denying that racists exist in the United States, some of whom even tried to assassinate Obama when he was on the campaign trail. However, the big point is that despite the racist tendency that surfaces in inter-racial societies from time to time (including Sweden), it is possible to fight racism through a united front comprising all races across the planet. At KSB, we hope that Obama’s leadership at the White House will be dominated by efforts to pave the way for changes whose positive effects will reverberate across the world. The impact of Obama’s victory was not only felt in the United States. It was felt across the world and the implication here is that both political and economic decisions Obama will make as President of the United States will impact on other countries. It is for this reason that supporters across the world hope that Obama’s decisions will be guided by sound policies designed to make the world a better place to live in. 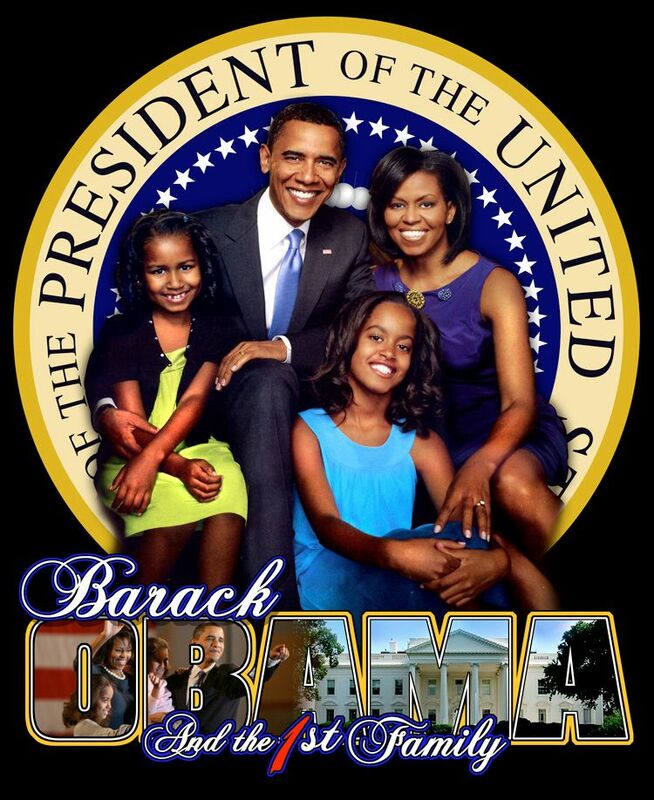 Once again, we say kudos to Barack Obama on his election as President of United States of America. Our congrants also goes to Michelle Obama who is destined to be the first African First Lady in the United States. Her support was key to Obama’s success and her role in the process cannot be quantified here at KSB. May the election of Barack Obama as President of the United States of America inspire others after him to aim for even greater heights both in the United States and across the Globe. May the mantra of “YES WE CAN” spread across the world to inspire even greater deeds by people of good will across in the field of politics, economic, culture, science, technology and others. We boldly repeat: YES WE CAN. Barack Obama’s humility and sense of belonging can be traced to his 1987 visit to Kogelo, his father’s ancestral land. Records show that he did not mind sleeping on the floor of his grandmother’s house or assisting her in daily chores. He also mixed freely with the villagers and they accepted him as their kin. I think that Obama’s story should be a lesson to many Kenyans in the Diaspora who shun their roots and do not even want to teach their children their mother-tongue, let alone Swahili, the national language. I praise parents who instill a sense of belonging to their children by linking them to Kenya. One should not just be proud of Kenya now because Obama is part of it. In “Dreams from my Father”, Obama says he made his first trip to his ancestral home before he entered Harvard Law School. He rode a bus from Kisumu with his step-sister, Auma Obama, to Nyang’oma Kogelo where he met his grandmother, Sarah Obama. A photo of Obama carrying the sack of vegetables on his back as she watches hangs on the wall of 86 year-old Sarah’s house. “The picture on the wall is one of my best, it reminds me of how he helped me sell vegetables at the market,” says Sarah. Obama has visited the village three times — the last in 2006 when he was on an official tour as Illinois Senator. Sarah, who says the first visit proved that her grandson was hardworking, believes in his campaign message of ‘change’. “He (Obama) is exactly like his father — an ordinary man who did extra-ordinary things.” Sarah says Obama was eager to learn Dholuo. “His being here did not bother us as he was down to earth and happily ate ugali and traditional vegetables,” she says. Congratulations to Barack Obama on winning the US presidential election after the long and tough campaigns. He has made history by becoming the first African-American president, thereby demystifying the ingrained mentality that a non-Caucasian “Cannot”. He has proven that “Yes we can!” This is the beginning of transcending racial barriers. May God bless Obama as he plans to translate his great dreams into reality. May he restore the lost world order by bridging the wide gaps created by the current US leadership steered by greedy warmongers. it’s going to be alot difficult to criticise american now..
You seem to love Obama so much, then YOU can have him..
What you dont see or read in the USA BIAS news, is that MOST Americans do not want him as President. They also feel that he has lied about his REAL name Barry Soetoro.. Lets not forget..he is President ELECT..it’s not over till its over..
KSB NOTE: If Americans don’t like Obama, why did they vote him in as President? The non white vote could not have propelled him to the White House. You cannot eat your cake and have it. For you, it’s not yet over but for us here at KSB, it’s gone for EVER. Obama is the 44th President of the United States of America and it will be interesting to see how you will be able to stop his swearing in as the 44th PRESIDENT OF THE UNITED STATES OF AMERICA. We compare notes on 20th January hoping that you won’t suffer from a heart attack. President-elect Barack Obama’s epic journey to the White House fulfills his childhood dream: “to become a president one day”. This is what he wrote in a poem entitled “My Dreams”, during his earlier school years in Indonesia. I believe he wrote this poem to express his ambition like any other child elsewhere in the world. In my opinion, Obama’s unique personality has shaped his way of thinking and propelled him to the presidency. He offers a broad perspective to issues and has re-awakened many people’s lost passion for American politics. In his 2004 keynote address at the Democratic National Convention he said that: “There is not a liberal America and a conservative America; there’s the United States of America.” He sees one America regardless of the existing diversity among its people. Later, during his 2008 presidential campaign, he dwelt upon issues that touched all Americans regardless of their race or social class. He also managed to carefully distance his politics from the civil rights era leaders like Jesse Jackson, yet touched upon matters that affected African-Americans and other minorities such as poverty, unemployment, lack of access to quality education and healthcare, etc. Obama’s campaign strategies drew many people to him and the election results have proven that the ‘race card’ did not play a major role as had been speculated. Obama’s rise as the first non-white elected president shows that many Americans are mentally dismantling racial barriers. I have just read an excellent article in the November 7 online issue of the Wall Street Journal emailed by an African-American friend analyzing the expectations of Black power brokers in the Obama administration. One black professor is quoted saying this on his election: “Obama being elected president shatters the last glass ceiling.” I hope that women will eventually rise to this level too. It is paradoxical that the highly acclaimed American democracy has never allowed a woman (white or not) to become president or vice president. I have read recent claims that since Obama is not an African-American but a person of mixed heritage, he should not be identified as black. I don’t want to get into the shameful racial history that compartmentalized Americans. However, as an African, I have noticed that he understands and identifies more with the African-Americans through his actions. I can’t help but mention that there is also a pragmatic approach in him that relates to how certain things are done in many parts of Africa. In his two books entitled: “Dreams from My Father” and “The Audacity of Hope”, Barack wrote about his struggle with race issues while growing up with his white grandparents in a pre-dominantly white area. He later chose to work as a community organizer among poor African-Americans in Chicago to uplift their living standards. He also joined a Black church headed by the controversial Reverend Jeremiah Wright and married Michelle (his rock), who is an African-American. Michelle has all along played a pivotal role in his public life right from the time he worked with community-based projects, became Senator and now President-elect. Obama was the first African-American president of the prestigious Harvard Law Review and the fifth African-American U.S. Senator. Obama does not forget his Caucasian roots either and has continually acknowledged the roles of his mother and grandmother in his upbringing. His stepfather had also urged him to be bold and to fight back when bullied by boys outside his home in Indonesia. In his current political life, Obama is equally surrounded and inspired with gifted white people. His 1988 first trip to Kogelo (his father’s ancestral home in Kenya), was a defining moment that filled the emptiness created by his father’s absence in his life. He wept for a long time between the gravestones of his grandfather and father; an act that was significant and therapeutic in confronting his father’s failures. He returned to Kogelo in 1992 with Michelle (then his fiancée) to get the blessing of his step-grandmother before marrying her. That was the African in him: going back to his roots to seek acceptance among his people. Barack Hussein Obama whose name is Jewish (Hebrew/Biblical), Muslim (Arabic) and African, is a living legend who inspires and gives hope. Many world citizens have greeted his presidential win with joy because they feel he represents a piece of something they own, be it racial, historical or geographical. He has lived in Asia (Indonesia), has an African and Caucasian heritage, his wife is an African-American, his half-sister Maya is Asian-Caucasian, and even a town in Japan is called Obama. Joluo warom uru e duol. Odera, May be, it would be better to write in a language which non Luo KSB readers could understand. I hope you find this a good idea for your next contribution. Keep the peace. It is strange that you have gone “lingo.” As an ardent KSB reader, I need to understand what you have written because this blog site channels stuff in English. From your name I assume that you are a Luo, so whatever you wrote should have been “palatable” at jaluo.com but not here. Please stay with English or Swahili otherwise you will be enhancing a Kenyan “Bradley effect” on other tribes. Need I add more to your foul language? No. You are the one spewing nonsense. Why are you “party pooping” at KSB? Nobody cares about the Luo in you. Just remain civil at KSB and discuss issues in an understandable language to all. You seem frustrated that Barack Obama won, but there is not much you can do. His supporters await his inauguration, so it is too late to complain. It is true he was once called Barry Soetoro but what will you do about it? He has also been called all manner of names in the book like Osama and NObama, etc. Maina, correct me if I’m wrong but I haven’t seen any use of fowl language from Odera’s side. I haven’t seen anywhere stated that it is unallowed to comment in Luo @ KSB, Osewe correct me if I’m wrong. Brayo Arwa, don’t get started with me: read between the lines to understand what I wrote. You seem too light weight for me to take on, if you cannot understand that inverted commas or quotation marks are sometimes applied to give different meaning to words – Pejorative, figurative, etc. By the way Brayo, jog your brain by adding new vocabulary as you read along. This helps you to acquire more knowledge. One doesn’t have to depend on small words only. The topic was Obama’s but there is a risk of it shifting into personal issues. I hope Osewe is alert to moderate when required, so that the comments section does not degenerate. Mwangi Mwangi.. Your previous comment is quite hypocritical to say the least. You finished off with “The topic was Obama’s but there is a risk of it shifting into personal issues” and yet you hastily assured me that “You(Brayo) seem too light weight for me(Maina) to take on.” All in the same comment… I’m amazed! Concerning the “verbatim”, you should take a look at yourself first before you accuse me. Need I mention to you that Osewe’s comment came after Odera had already made his expressed himself? (Excuse my Swa) Wahenga wa kale walinena, maji yakimwagika kutoka kwenye ndoo, hayazoleki! Thirdly, if I wanna jog my brain, I have much better ways of doing so. I scored Excellent in the writing section of the Cambridge Certificate of Advanced English 5 years ago, so I believe I needn’t improve my language through reading Maina’s comments at KSB. Brayo, I called you light weight with a reason because I can still poke holes into your continuous Net faux pas. Osewe corrected Odera within the text but as I repeatedly say, you missed it. He observed the use of a strange language which prompted his note. Voilà! Nene wa wacho ,mi marwa ok mawa.”Wang ni nyocha wadino”. Joluo warom uru e duol. Scoring highly in the English language at that level is not equivalent to mastering it, which requires real tour de force. Jogging your brain was a retort at your claim of ‘going dimunitive’ in words. There you go again: bouts of amnesia. So, if you scored so highly in the English language, it shouldn’t be a problem reading and comprehending what I wrote. I did not ask you to read my comments, let alone air your mind concerning them. You chose to do so. “Hakuna wahenga walionena maji yakimwagika kutoka kwenye ndoo …” There is no ndoo in the adage. Msemo halisi: “Maji yakimwagika hayazoleki”. (If water is spilt, it cannot be scooped up OR Don’t cry over spilt milk). You are definitely not au fait with my ideas and this makes me feel like playing the guitar to a goat. My former finishing lines were meant for the related context in toto. Meanwhile, keep up your veiled tribal baiting but know that it is too démodé. I will remain civil and not go vernacular to demean you. Otieno Odera, I hope your not the Tony I know. And the same applies to Brian. The Luo tribe is yours so drum up the message, revere it, laud it, get to the rooftops and shout it out. Looks like my sole crime was to question why you used your mother-tongue to comment at KSB. I never said that you should not be proud of your tribe as you suggested. I wonder why the lambasting is not aimed at Osewe who clearly discouraged you from this. At the end of it all, KSB readers will see the “tribal bile” that is so deep in you. I rather not go much into detail but I gather you are just another product of Kenya’s failed leadership. That is why we need more fresh young turks to govern things because apparently that system have failed. From what you sound like Mwangi, I wont blame you much, but I blame those sorry leaders who injected that ignorant perception into your mind. As for Bizarre, you chose a nickname that suits you quite well… Keep at it because anyone who knows Odera and I know that we are not tribalists. So don’t be twisting things around like you’ve seen your local politician do over time. Give a helping hand here, we are the generation that wants to bring revolution and bring and end to this mentality that has brought nothing short of failure to our wonderful country. Brayo, keep on ranting. ‘Bizarre’ gave you a taste of your own bitter medicine especially in the original unedited version of his response. Continue your tribal bigotry. Why back off yet you have been ‘going rogue’ and sweltering with tribal venom? Bizarre saw it so well. Read your own sentence here which leaves a lot to be desired, for one who claims to have scored highly in the Queen’s language–“Mwangi, I wont blame you much, but I blame those sorry leaders who injected that ignorant perception into your mind.” Which ignorant perception Brayo? There is a lot of inconsistency in your diatribe because you are merely traversing this space without logic. It explains your state of mind. What have Kenyan politicians got to do with this thread? Open a new thread then to discuss your successes because you so ignorantly think you have “arrived” while some of us have failed. What’s wrong with you two Luo men called Otieno Odera and Brayo Arwa? I have been following your discussions with Maina Mwangi and as a fellow Luo in the US, I kindly ask you to tone down because you are giving us a bad name. Why do you have to write things that don’t represent the collective thinking of our community? You claim “Wang’ni wadinonu”–Whom have you blocked and from what? If Obama’s win has gotten into your heads so you can now blast Mwangi because of his name, then you are totally wrong. Luos have so many problems that we in the Diaspora can debate upon instead of being petty. I like reading info at KSB and thank Osewe for the comments space, so please stop discussing things that won’t add extra ‘ugali’ on your plates. The ‘pesa nane’ Luo type of bragging “sijui nimesoma English” etc. has never taken us anywhere. Kenya is in a healing mood trying to overcome recent tribal tensions, so please discuss more beneficial things. 1. I already said I am not a tribalist. Period. I guess Odera isn’ either he already said it. 2. Whatever Odera said, he fully translated it afterwards, so no stabbing in the back or anything. Not to mention, Monsieur Mwangi a commencé à utiliser beaucoup de mots francais… Qui a dit a Tony si’l ne faut pas utiliser un autre langue ici sans Anglais et Swahili? 3. Okoko, wang’ni wadino nu. Interpret it however you please, but wang’ni wadino ne joma goyo siasa maketho piny. It is the real situation, our wonderful country is going in ruins because of the bogus politics and this is the very thing we have blocked right to the top of the ‘foodchain’!